It is cold and autumny outside, and that makes me want to read one kind of book, some warming stories that don't require too much brain power, so here are a couple of reviews for you! 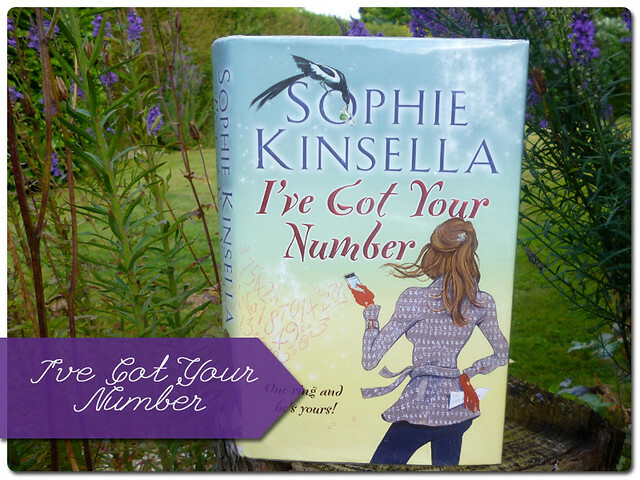 I've Got Your Number by Sophie Kinsella is the story of how Poppy Wyatt deals with a disaster. After a bit of a drunken night with friends, Poppy discovers she has lost her engagement ring, a family heirloom, and knows her new fiancee will be furious. Instead of fessing up she decides to hide the loss and try to get it back. However a second disaster has struck, Poppy has also lost her phone, the modern lifeline. Happening to find a phone in a rubbish bin in the hotel she had been partying at, Poppy takes the opportunity and grabs it and begins to use it as her own, much to the annoyance of the previous owner. Enter Sam, a busy businessman who does not appreciate Poppy rifling through his life and sticking her nose into his business. As you can imagine hilarity ensues. I find it hard to review Sophie Kinsella books because they are essentially chick lit, they don't require a huge amount of effort to read, you know how they are going to end pretty much, and they usually leave you feeling warm and fuzzy. I could easily just give each of Kinsella's books the same review and just change the names. But, that doesn't mean I don't enjoy them immensely, fluffy characters and all. I would like to say about Sophie Kinsella's books that they all have very funny moments in them, and I've Got Your Number didn't disappoint. It made me chuckle and the predictable ending came about in a very sweet way. The women in her stories always stand up for themselves in some way too, and I like that we see them grow some backbone as they discover themselves, and Poppy was no exception to this rule. First things first, this book is about a library, there is no way I could have resisted this one. It is the first in a series too so I was even more excited to find it. 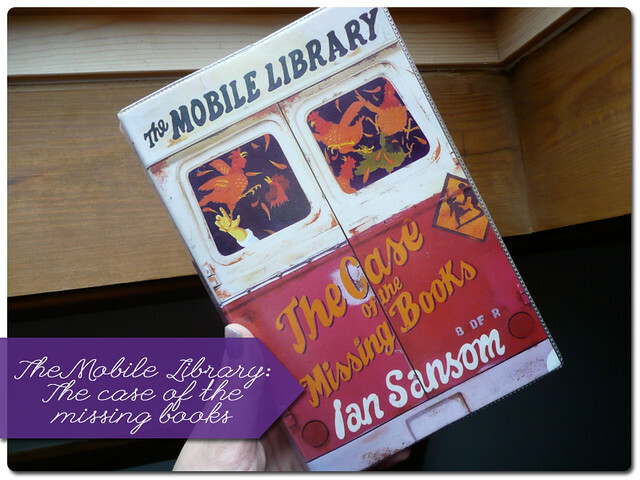 The Case of the Missing Books by Ian Sansom starts when Israel Armstrong arrived in Ireland expecting a shiny new career to be awaiting him in a lovely library, only to find that in fact he is destined to be the new mobile library driver. Israel is a fairly positive chappy, and sets about to make the most of a situation that involves a mucky barn to sleep in and a somewhat unsympathetic girlfriend back home, his mission is somewhat impeded however by the lack of books in his mobile library van. Israel makes his new mission finding all of the missing books, and in doing so encounters some quite funny and slightly ridiculous characters along the way. I am not going to lie to you and say this is a great book, because unfortunately it fell a little short of the mark when it comes to humour, it tries but only elicits a little chuckle rather than a guffaw. The characters are stereotypical village folk, but I found that comforting as I too am a village librarian and am used to encountering these strange personalities. Israel is a strange character, one you sort of sympathise with but also don't really like because as a city boy he needs to get some country life experience anyway. We laugh through his mishaps. For me the winning part of this story was the ending, it took me by surprise, though it maybe shouldn't have with the closures being proposed left right and centre, and it really made me smile. It was a happy little conclusion that made up for the other little negatives along the way, and sold the message that you should love your library. Definitely leave you with a warm glowy feeling as you turn the last page, and the wonderful descriptions of the gloomy Irish countryside certainly makes a bit of an autumn breeze feel positively balmy.